What are the Essential Counted Cross Stitch Supplies? Beginners should use an embroidery hoop to hold fabric still. A pattern, fabric, thread, and a needle are some of the most basic cross stitch supplies. Embroidery floss must be separated for cross stitching. The most basic counted cross stitch supplies include a pattern, fabric to stitch the design onto, floss or thread, a tapestry needle, and scissors. Many people also use a hoop, which keeps the fabric taut and makes the weave of the fabric easier to see; hoops are especially helpful for beginners. Kits are widely available and normally include fabric, a pattern, a needle, and floss in the colors needed to complete the design. Some kits also include a hoop in the appropriate size for the project. For someone who is just getting started with counted cross stitch, a kit is often the most economical way to purchase counted cross stitch supplies. A cross stitch pattern or chart will be the first step for any project. Patterns are printed on a graph, often in color, with a symbol inside each square representing the color and type of stitch to be placed on the fabric. Graphs will normally indicate what type and size of fabric to use, as well as what thread colors will be needed. Pattern books and leaflets can be found anywhere counted cross stitch supplies are available, and there are thousands more available on the Internet for printing. In addition, software programs are available to convert virtually any artwork or photograph into a cross stitch pattern; when someone else's artwork or design is used, it's important that all applicable copyright laws are followed. Counted cross stitch is generally worked on an even weave or Aida fabric canvas, which is available in a wide variety of colors and counts. In the U.S., the count number on the fabric indicates the number of stitches per inch of fabric; for instance, 11-count Aida will take 11 stitches per inch. The lower the count, the larger the weave of the fabric. Aida 11- or 14-count is the most common size for beginners, but 18- and 22-count fabrics are also widely available. The holes in the fabric are much easier to see on white, ivory, or other light-colored fabrics; dark fabrics can produce stunning results, but require a higher skill level to stitch. Embroidery and cross stitch require thread, commonly called floss, with which to stitch the design. Floss is generally made from cotton, rayon, or silk and comes in skeins of six threads loosely wound together, which will need to be separated before stitching. Many counted cross stitch patterns call for using two or three threads for the stitches and slightly less for the backstitching, but the directions on the pattern should always be consulted to get the desired results for a project. 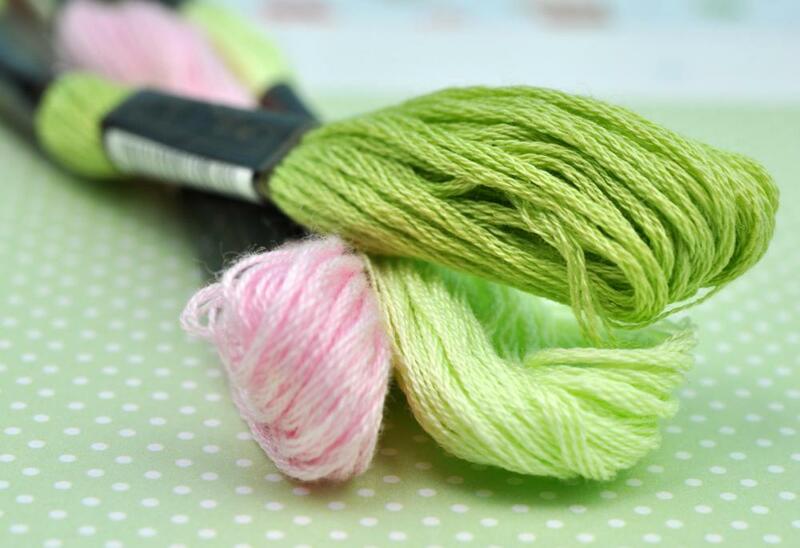 If the brand and color of floss called for in a pattern is not available locally, stitchers may need to consult a color conversion chart to choose a similar color in another brand, although it may not be possible to match the color exactly. Counted cross stitch supplies, including floss, are available from a number of online retailers as well. Stitchers should be sure to buy at least the amount called for in the pattern so that they do not have to try to find an exact match for a color halfway through a project. The most commonly used needle for counted cross stitch is the tapestry needle, which has a blunt tip and a large, elongated eye for easier threading of multiple strands of thread. In the United States, size 24 and size 26 needles are the sizes recommended for use on 11- and 14-count fabrics. It is important to keep needles free of dirt and rust, as these will transfer to the fabric and may also snag the fabric as it is worked. 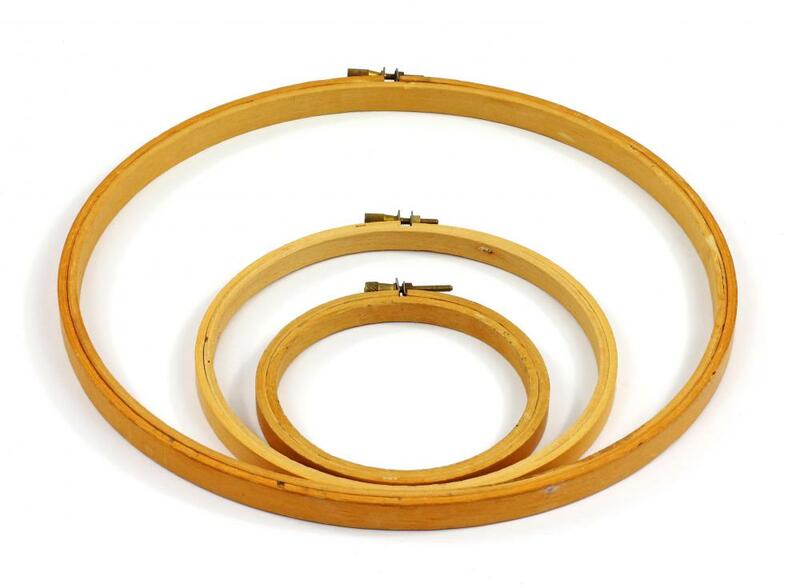 Embroidery hoops are optional, but many beginning stitchers find them extremely helpful. They come in several sizes, and are made most commonly of wood or plastic. If the hoop is left on the fabric for too long, it will create ridges that may be difficult to press out. For this reason, it is recommended that the hoop be removed from a project when it is not being worked on. What is a Cross Stitch Needle? What is the Difference Between Needlepoint and Cross Stitch? How do I Read a Cross Stitch Chart? How do I Choose the Best Counted Cross Stitch Kit? 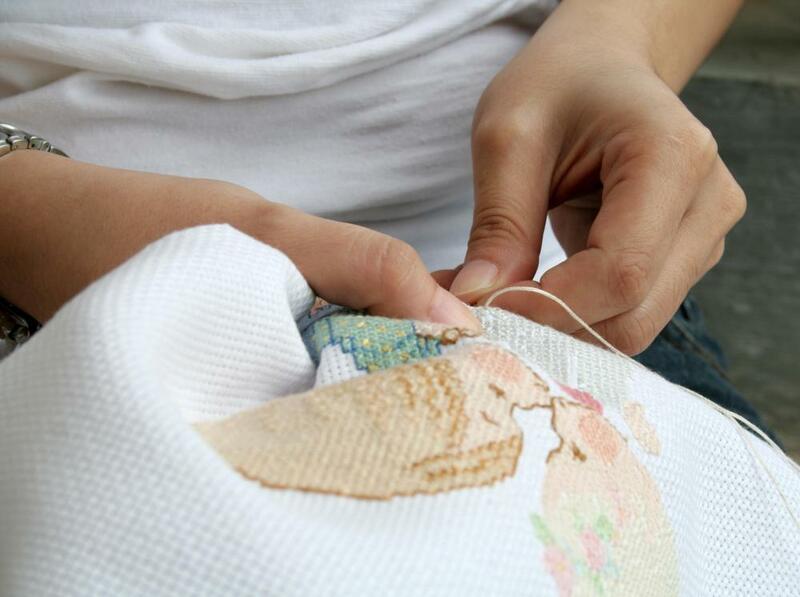 What Is the Difference between Cross Stitch and Needlework? How do I Choose the Best Cross Stitch Kit?